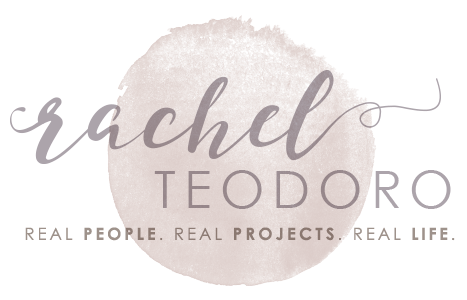 On Monday I shared with you the coolest new mod podge product. 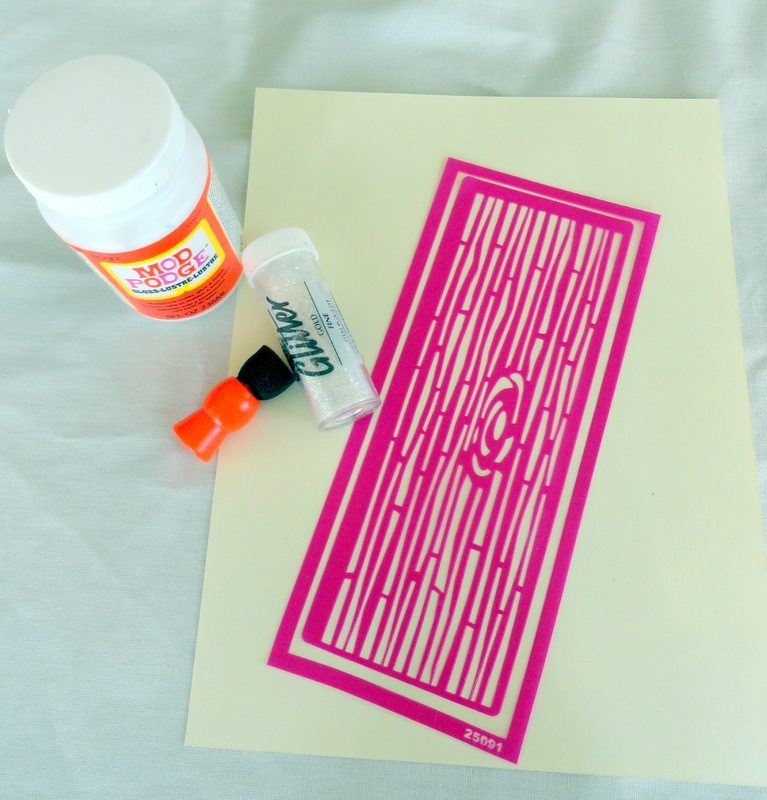 Peel and stick mod podge stencils are amazing and I am over the moon in love with the wood grain stencil. 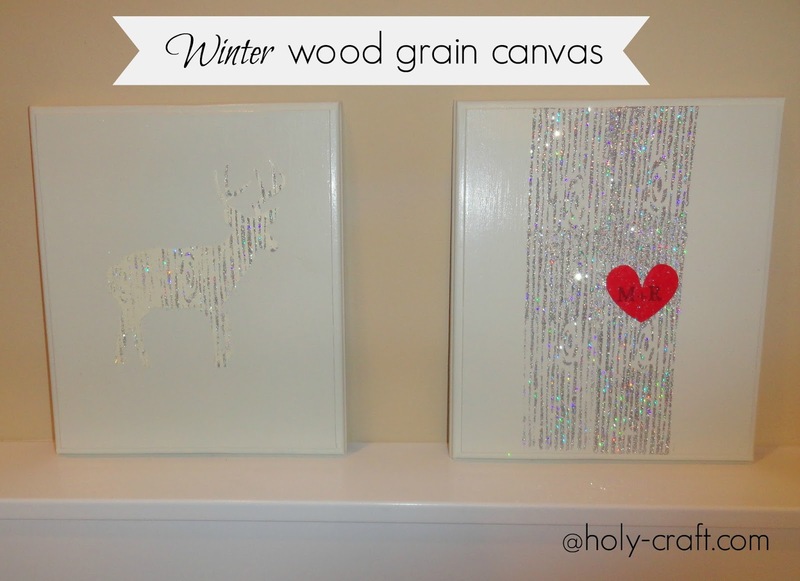 I created these winter wood grain canvases and am excited to show you how to make your own! 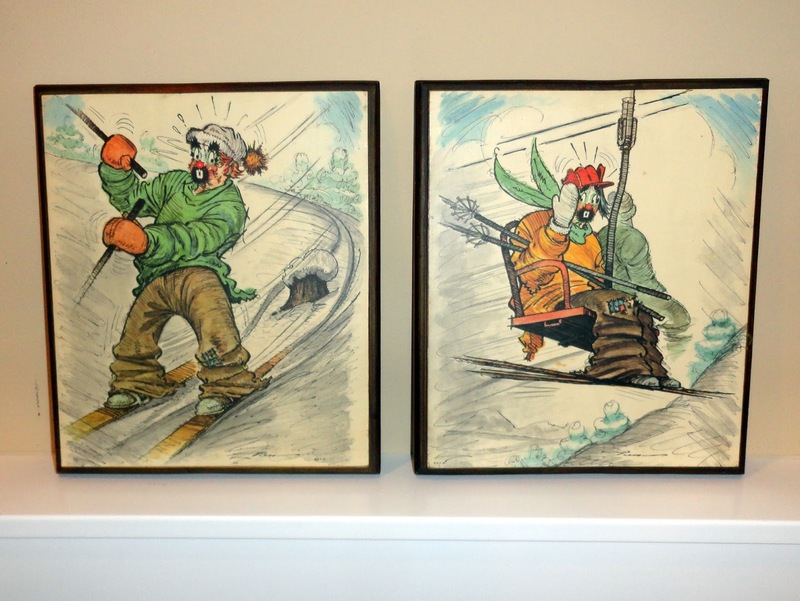 Last summer, I picked up these sort of crazy looking clown canvases for a quarter a piece. Clowns are kind of known for being a little creepy, so I knew I was going to paint over the image and re purpose them. It took two coats of white paint, but now there are no more clowns and the canvases only cost me fifty cents! I did two different techniques to make my canvases. 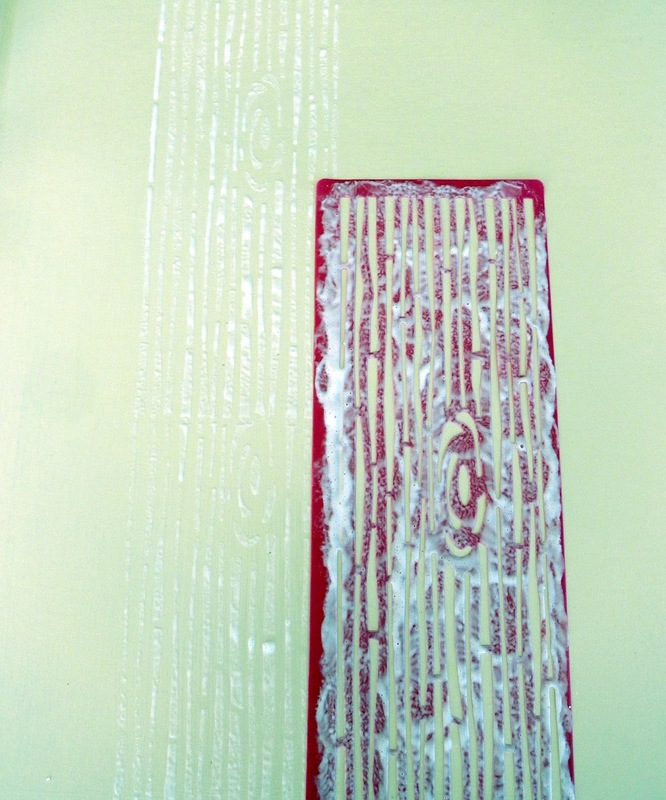 The first was creating wood grain glitter paper. 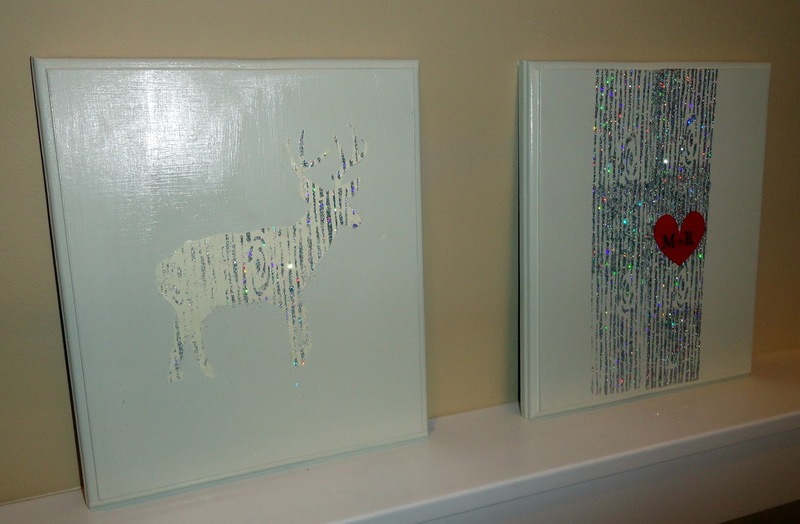 You will need card stock, mod podge, your stencil, glitter and a pouncer to apply the glue. 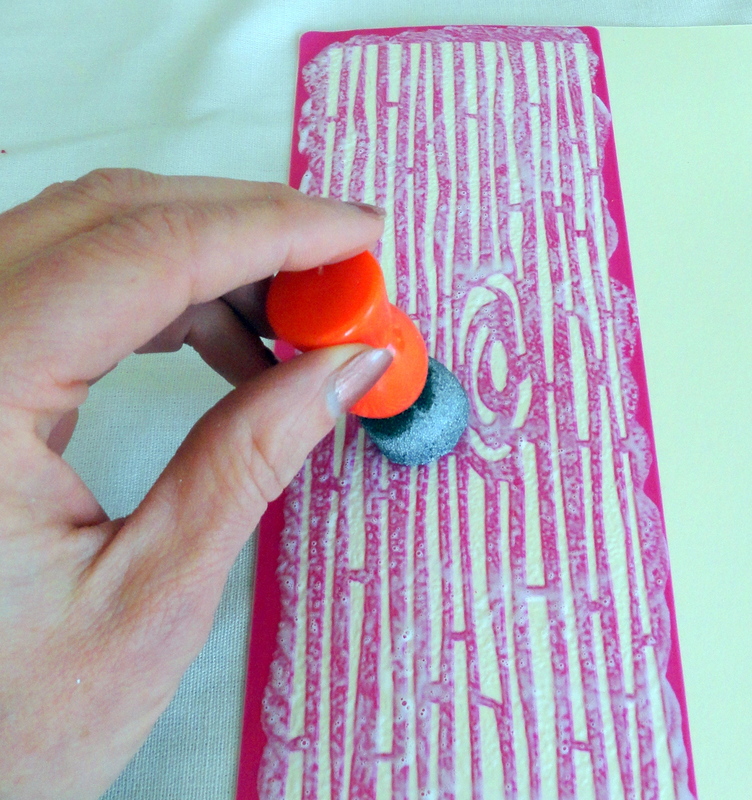 Peel your stencil off of the backing and apply it to your paper. Use your pouncer to apply the mod podge to your stencil. Peel up your stencil and move it to the next spot. Pounce more mod podge and continue until you paper is covered. 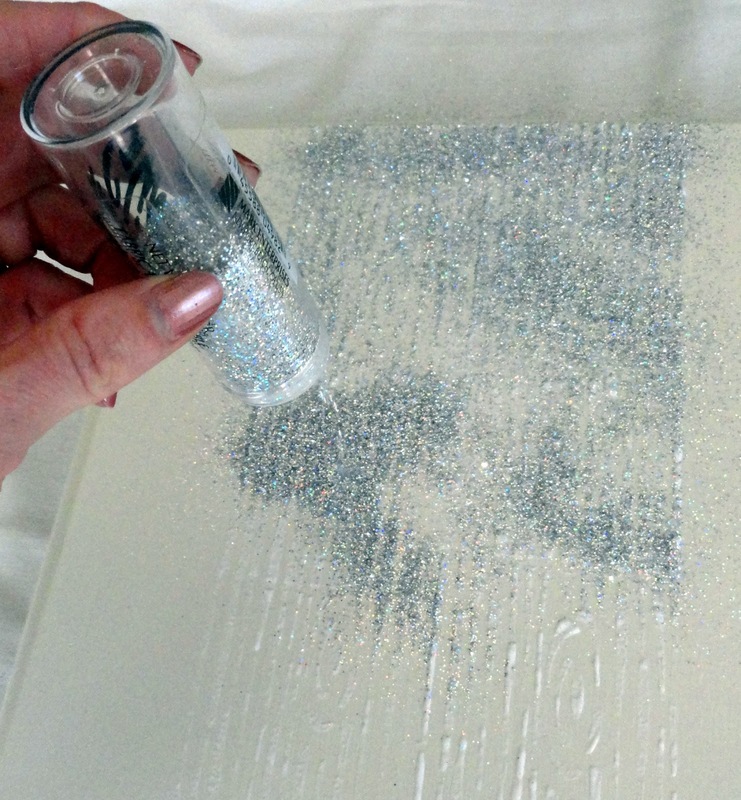 Sprinkle your glitter on the wet mod podge and shake off the excess. Now set you paper aside and let it dry. While you are waiting for your paper to dry, you can move on to the stencil application that will go directly on to your wooden canvas. The clowns are gone, the paint is dry and I am left with a blank slate! 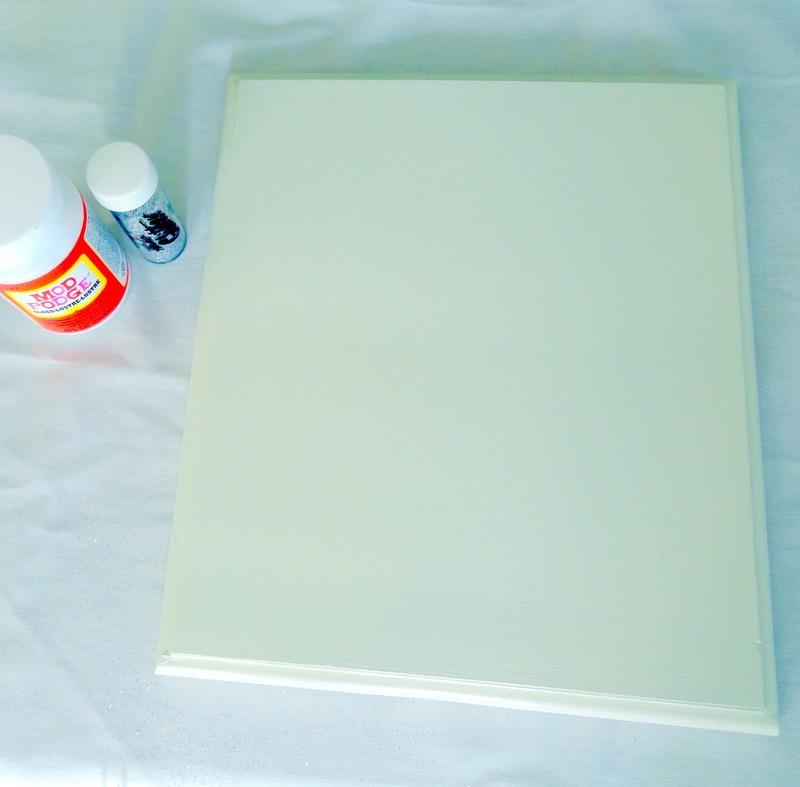 Use your stencil and pouncer to apply mod podge to your canvas. I wanted to create a tree trunk so I used the stencil side by side to create my trunk. Apply your glitter and shake off the excess. Now set that aside and let it dry. 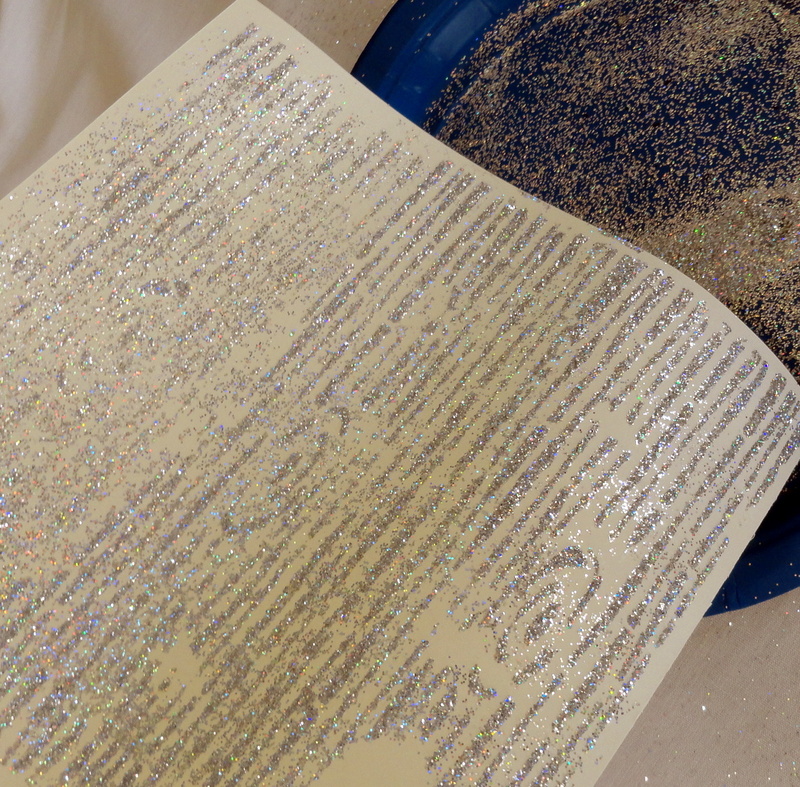 By now, your glitter paper is probably dry. 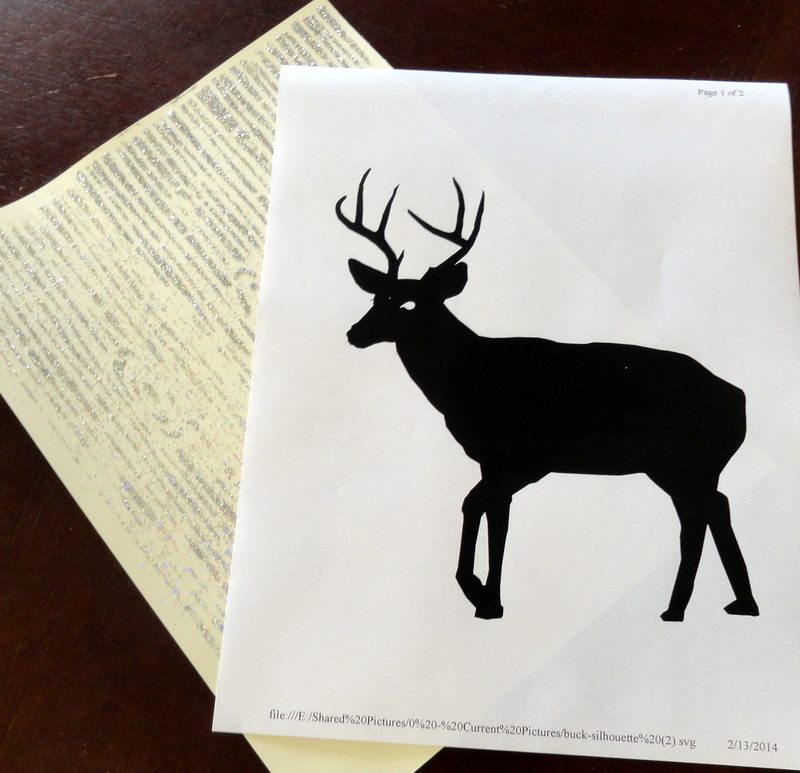 I found a buck silhouette image through Google images and printed it off. I taped my buck to the back of the glitter paper and cut it out. I applied mod podge to the back of my cut out silhouette image and glued it to my wood canvas. 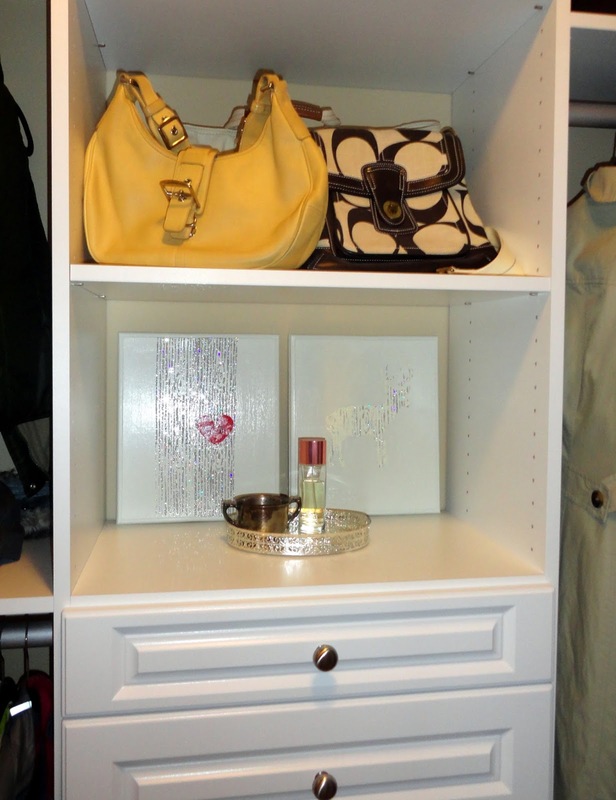 My new master bedroom closet has some pretty awesome places for mini vignettes. 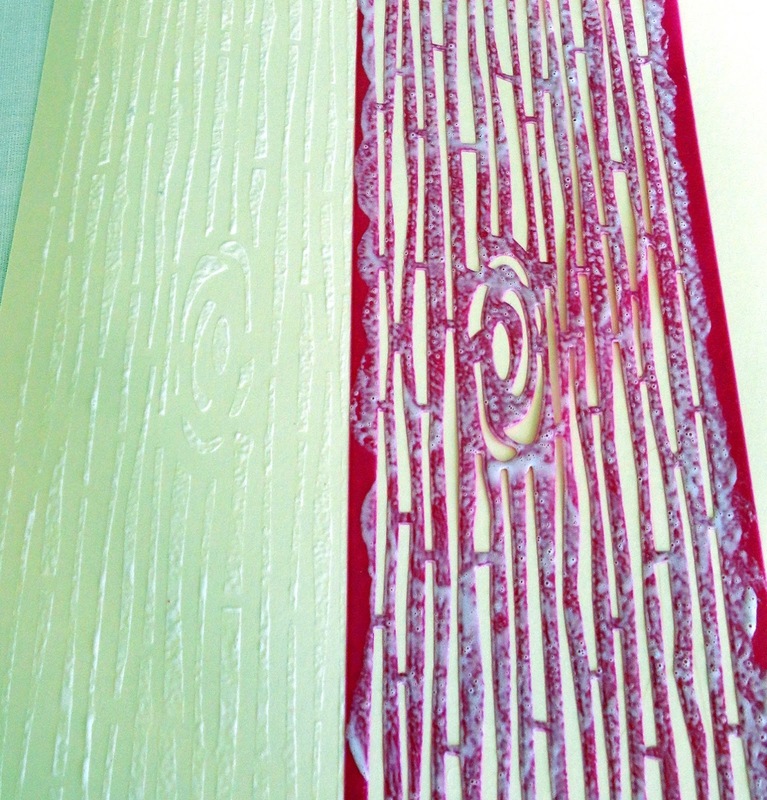 I put my winter wood grain canvases in one of them. 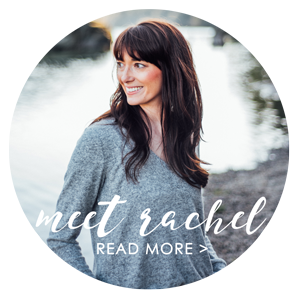 I had envisioned a heart cut out with my husband and my initials in the tree trunk. I love all things woodland right now, especially bucks. I really think these canvases are a huge improvement from their 70's clown start. Stay tuned for Friday for another mod podge peel and stick wood grain project. It's pretty awesome. these are gorgeous and such cute ideas!! I can't wait to make some - that might be my weekend project =) thanks for sharing! 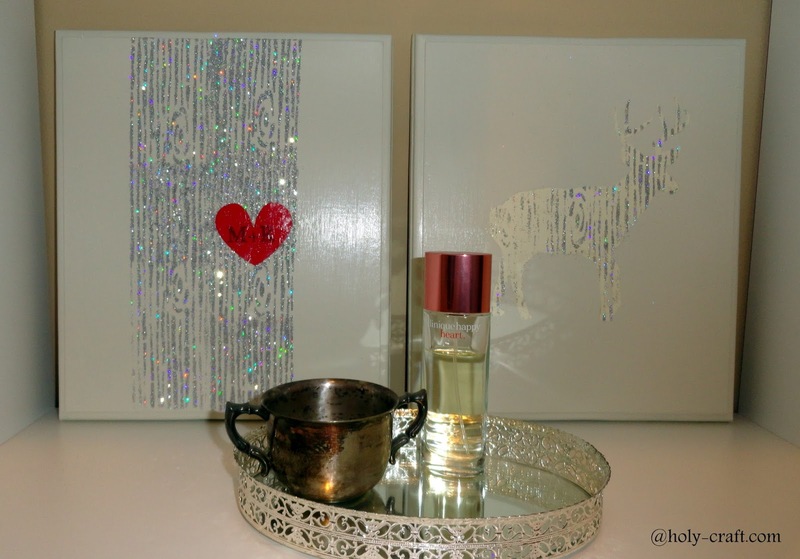 I love the glitter faux bois--awesome! Wow, those are some clowns! Much better now. I love that stencil technique, I am going to have to take a look at those. Thanks for sharing.